Explore Tongariro National Parks famous Tongariro Crossing day hike, considered one of the finest day walks in the world. 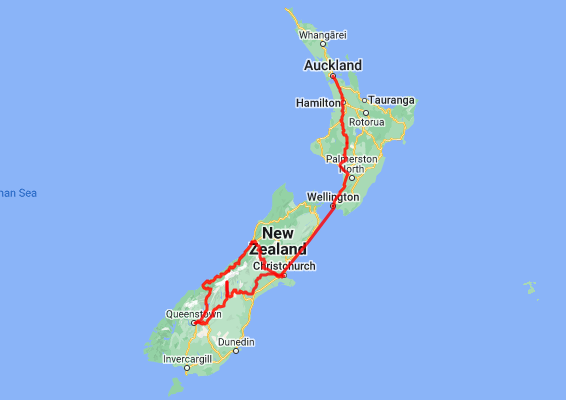 Then journey by scenic train and ferry south to the capital city of Wellington, then south to Christchurch. From Christchurch you drive to Mt Cook National Park to self explore the many tracks and trails before heading deeper south and into the Southern Lakes region. From here you take the 3 day/2 night guided walk on the famous Routeburn Track. Returning to Queenstown you take the short drive to Wanaka and time to self explore the wonderful tracks of Mt. Aspiring National Park before continuing north to the glacier region. Take to the air with a twin glacier scenic flight before returning to Christchurch on board the Tranz Alpine Scenic Train. You will be collected from your Auckland hotel and transferred to Auckland train station. 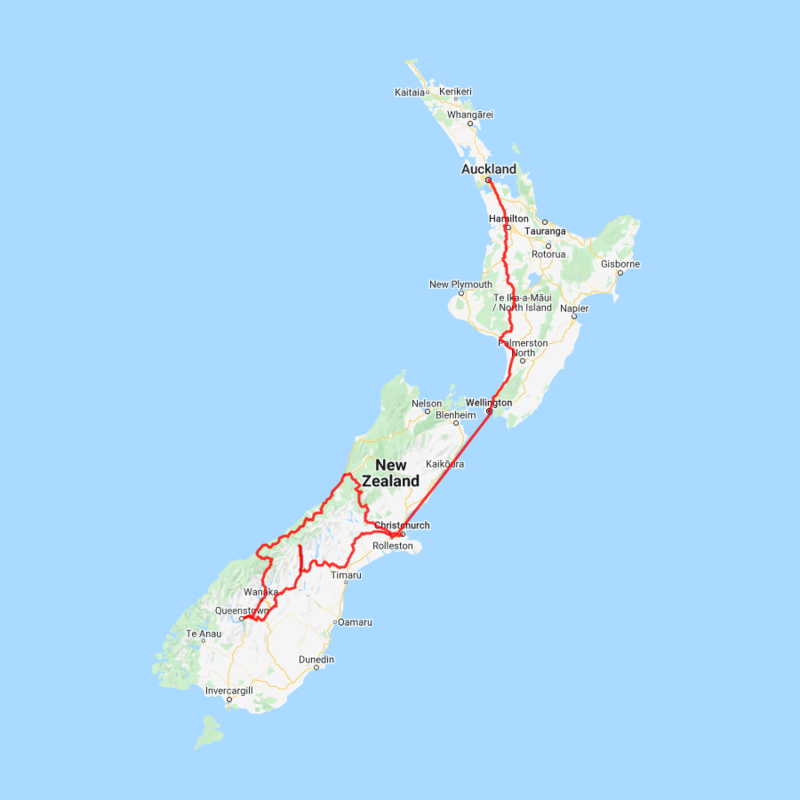 The Northern Explorer is a journey through the heart of the North Island, travelling between Auckland, New Zealand's largest city, to Wellington, New Zealand's capital city. Your journey today takes you along the first half of this scenic train trip through to Tongariro National Park. You also see fantastic views of New Zealand farmland, the volcanic plateau, Mount Ruapehu, the world famous Raurimu Spiral, and stunning river gorges - all from panoramic windows or open-air viewing decks. All carriages feature large panoramic windows giving sweeping views of the magnificent North Island. The Northern Explorer is a journey through the heart of the North Island, travelling between Auckland, New Zealand's largest city, to Wellington, New Zealand's capital city. Your journey today travels from National Park, past the rolling countryside of the Manawatu region and along the spectacular Kapiti Coast to our capital city of Wellington. Enjoy fantastic views from the panoramic windows in your carriage or the open-air viewing deck at the rear of the train. There are some excellent walks in and around Wanaka. The information below is provided by the Department of Conservation. Located in Wanaka is a Department of Conservation information centre and you can get updates on track conditions and suitability plus you can learn about the area, its natural history and its people. Listed below are a selection of short walks but check with the Department of Conservation information centre for weather conditions, track suitability and conditions first. This well-graded track follows a section of the old Bridle Track, the first link between Otago and Westland. These two excellent walks in the Diamond Lake Conservation Area give wonderful views of the surrounding alps and LakeWanaka. This newly formed track leads to a view point above the bush line that provides a stunning vista. This walk passes through native forest and bush, crossing burns (streams) and giving access to Lake Wanaka itself. This track is suitable for walking, mountain biking and horse riding. This very popular, close-to-Wanaka-town loop walk suits all ages and abilities and offers great views from the summit. Rob Roy Valley is a good entry point to an area of spectacular alpine scenery, snowfields, glaciers, sheer rock cliffs and waterfalls. Completion Time: 3 - 4 hr return. There is avalanche danger during winter and spring (June-November) on the Rob Roy Track. The Turihuka Track is a pleasant walk to the Turihuka Conservation Area. It also provides access into Hawea Conservation Park via the Dingle Burn and Hunter River Tracks.